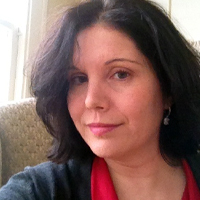 Alexandra Williams, MA has been teaching, mentoring, presenting, emceeing, editing and writing for over 30 years. Currently teaching in the Dept. 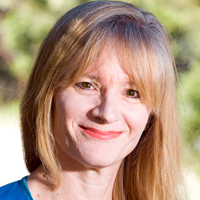 of Exercise Studies at UC Santa Barbara, she is a contributing editor and writer for IDEA Fitness Journal, contributing columnist for AAA Westways Magazine, and frequent freelance writer and guest blogger for numerous print and online health sites. Alexandra co-hosts the international radio show, “Fun and Fit” on womensradio.com with her twin sister, as well as appearing with her on numerous television and radio programs. Both together and separately, Alexandra and her twin Kymberly have presented workshops on writing, business, social media and fitness around the world. Alexandra is also a former judge for international aerobic championships. Her advanced degree in counseling has helped her more fully understand the power and importance of words and the meaning behind them. She can be reached at info@funandfit.org. Alicia Hansen grew up in the Greater Cleveland area and is proud to still call it home. 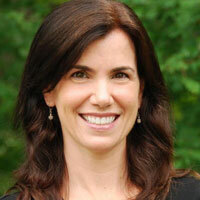 She writes Poise in Parma, a healthy balance blog for Clevelanders. She began her blog in October 2009 to keep her accountable for a 100 plus pound weight loss while showing others that they too could live a happy, healthy lifestyle in the Northeast Ohio region. 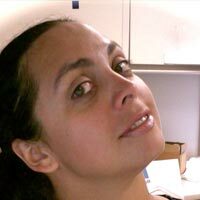 She is also the Cleveland chapter president of the Ohio Blogging Association, coordinating local blogger meetups since 2010. Professionally, Alicia was recognized by CBC Magazine in February 2011 as the Connectors Choice Awards’ Rising Star for 2010 for her work as an events director for local non-profits. She currently works full-time at the Arthritis Foundation, planning large-scale food and wine events & 5K fundraisers. Certified by Yoga Alliance, Alicia teaches vinyasa yoga and especially thrives on showing beginners the basics of the practice. As a student at the Nishkama Yoga School of Yoga, Alicia completed her 200-hour Yoga Teacher Certification in December 2012. 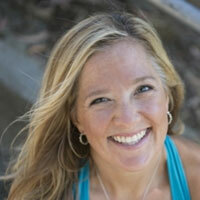 She will lead a summer session as a featured teacher at Yoga Rocks the Park Cleveland on July 27, 2013. Alicia lives in Parma, Ohio with her husband, Hans, and her Golden Retriever, Grady. Amanda is the spiritual gardener at Grow Soul Beautiful, a daily blog that blends yoga, photography, and soul nourishment to encourage readers to embrace their beautiful inside and out. Their mission is to feature a variety of ways to enrich your life through self-love, creative endeavors, and listening to the gentle whispers of your heart. Beyond the asanas and through the camera lens, powerful opportunities emerge to cultivate body-love, courage, and inner-strength that can enable each of us to thrive. Her personal blog, Click. 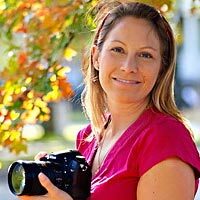 The Good News, chronicles her life as an engineer in Texas through photos, including travel, marathons, wine, and married life. Taking over 15,000 photos annually, Amanda has too many cameras, bags full of lenses, and just enough Photoshop & Lightroom skills to make pictures sparkle. 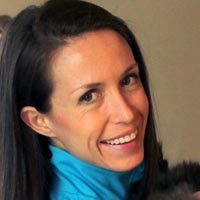 Amanda Vogel, MA human kinetics, is a certified fitness instructor and owner of ActiveVoice.ca, a writing, editing and consulting service for the fitness industry. She’s a Lolë activewear ambassador, official Lolë blogger and social media consultant for fitness brands and public figures, including BOSU® and Amy Dixon Fitness. In addition to being the co-author of Baby Boot Camp: The New Mom’s 9-Minute Fitness Solution, Amanda writes for popular women’s magazines, including Oxygen, Best Health, Women’s Health and SELF. Her blog www.FitnessTestDrive.com was a finalist in Best Health Magazine’s Blog Awards and featured in “10 Canadian Health & Fitness Blogs We Love” at SheKnows.ca. 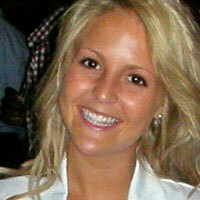 To chronicle her daily life as a medical student, Andrea started her blog www.A-Doctor-In-The-House.com. On her blog she writes about recipes, workouts, science articles, and daily medical school happenings. 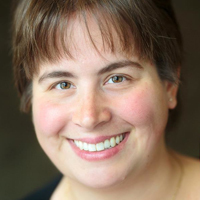 As a physician, Andrea hopes to encourage her patients to make healthy choices. She is passionate about public health and preventative medicine. While Annabel Adams will tell you her career in public relations began at a top-10 law firm, her career really began in middle school when she brought in first-place prizes for writing contests sponsored by Coca-Cola & the Long Beach Grand Prix. While in grad school for literature, Annabel started a blog – “Feed Me, I’m Cranky” – that focused on health and fitness. It is through that blog that she truly found her voice and future career in writing. She began freelancing with a NY Times best-selling author and a celebrity-focused PR firm where she “ghost wrote” for a celeb launching a weight-loss product (given her personal journey with weight-loss, she can only find this humorous now). 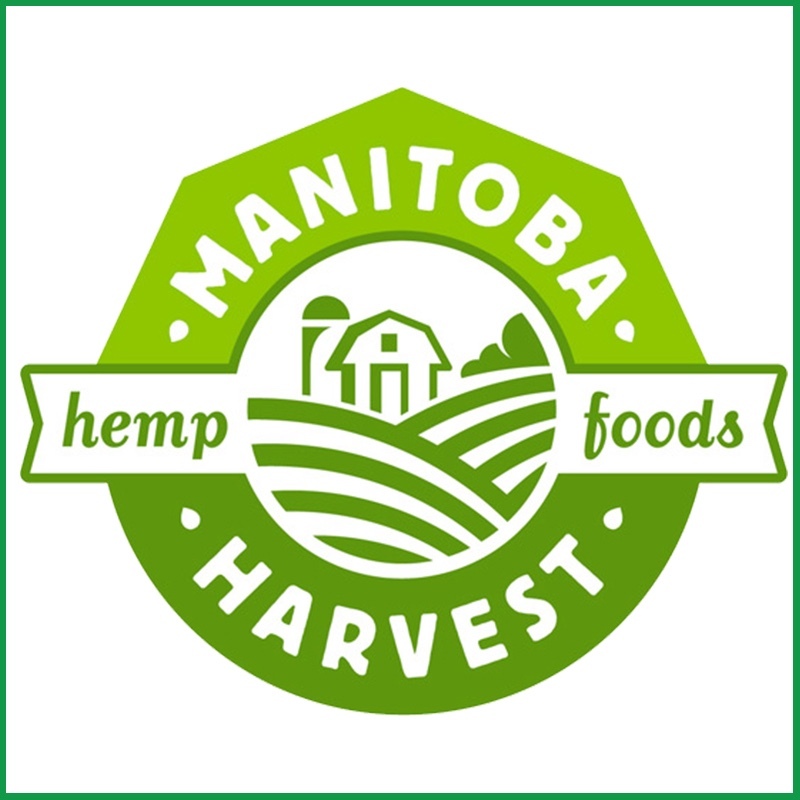 Annabel is currently the media & community relations manager for HUMAN Healthy Vending – an award-winning franchisor of healthy vending machine businesses with the mission to make healthy food more convenient than junk food. Annabel has used her writing skills to get her clients and employers feature stories in Forbes Magazine and Good Magazine, a cover story in The Orange County Register, quotes in coveted publications, such as The Wall Street Journal, Redbook, Women’s Health, NY Times, LA Times, and The LA Business Journal, and prime-time TV coverage on CNBC. 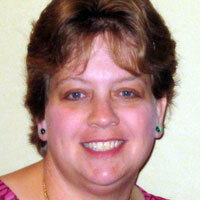 Bonnie knew something had to change, being 240 pounds left her unhappy, depressed. But she never realized the journey would take her to 3 marathons, 10 half marathons, a new career path, a new degree and a new life. Six years ago Brandi Koskie helped found DietsInReview.com with a group of friends all committed to improving the health and diet community online. As the site’s director of publishing, she has the exciting responsibility of leading one of the largest health sites on the web. Brandi is a respected health journalist and has had the pleasure of working with some of the biggest names in the industry. She’s attended eight Biggest Loser finales, shared sushi with Jillian Michaels, made Jimmy Fallon laugh, and was called “an expert” on NPR’s Wait! Wait! Don’t Tell Me. 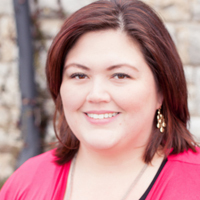 She enjoys all the possibilities that digital publishing and interactive marketing provide and uses these to continually inspire growth for her own properties and those of partners, peers, and friends. 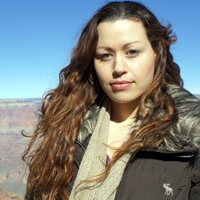 Personally, Brandi launched the web’s first IVF fundraiser site, BabyOrBust.com. There she “begged” the Internet for money in exchange for bearing all about her (successful) test-tube-baby making. Her story has been featured on the CBS Early Show, NPR’s StoryCorps, the book “Budgeting for Infertility,” Conceive Magazine, ABC News, and the Johnson’s Baby “Moments of Joy” campaign. 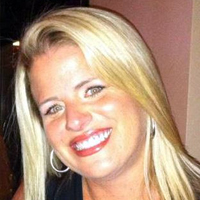 Brandi lives in Wichita, Kansas with her husband and daughter. She holds a journalism degree from the University of Oklahoma and is, of course, working on her first book. 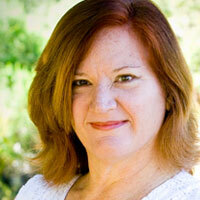 Since 2009 Cynthia Crowsen has written at It All Changes (http://itallchanges.com) sharing her weight loss ups and downs. As life continues to change so has her blog to include sharing basic health, wellness, recipes, and dealing with the rollercoaster of everyday life. 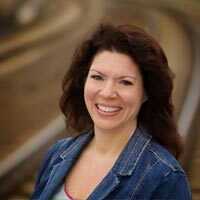 She has shared her story through guest posts on many blogs and speaking at Healthy Living Summit 2011 on Making Friends through Social Media and at Fitbloggin’ 2012 on How Much is Too Much (in blogging). Cynthia is a full time Salvation Army pastor/administrator along with her husband living in Northern New York, almost Canada, and sharing their house with three fuzzy pups. She is happy to be attending her 3rd weekend of awesome for Fitbloggin’ 13 and leading a discussion on Tackling the Taboo of Therapy – The importance of mental and emotional health. She continues to blog at ItAllChanges.com with regular thoughts on dealing with life changes and can be found on twitter rambling in 140 characters or less at @itallchanges. Dani started blogging in 2011 as a forum to release emotions/frustrations with a back injury/back surgery earlier that year … but it evolved from there. At Weight Off My Shoulders, Dani shared her 60+ lb weight loss journey with Weight Watchers and now the ups and downs of the world of maintenance. Additionally, she shares her current addiction – err passion – of running, where she competes in everything from 5k to marathons. 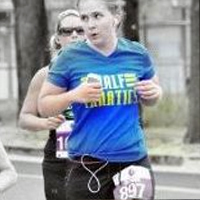 As someone who always hated running, she never thought she would be the runner she is today. Dani loves sharing her story and helping others on their own weight loss and fitness journeys that she wanted to pay it forward as a Weight Watchers Leader. Deb joined a gym and hired a personal trainer to help her lose her peri-menopausal 40# in 2006. That sparked an interest in fitness that led to her becoming a NASM-certified Personal Trainer blogging about her love of lifting and the challenges of post-menopausal fitness at Weight for Deb. Two major injuries slowed the workouts for two years as she recovered from shoulder surgery and a total hip replacement. During this time, she researched movement imbalances and injury prevention, receiving an additional certification in this specialty. 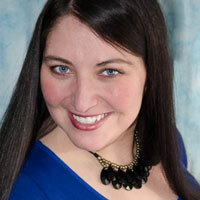 She will be leading the FitBloggin13 Round Table discussion on Dealing With Injuries. 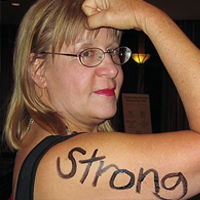 Since her return to health, Deb has re-ignited her love of strength training, becoming a competitive powerlifter! When she’s not training, she’s likely participating or leading a fitness chat on Twitter, commenting on baseball (Let’s Go A’s! ), volunteering with an urban food justice group (City Slicker Farms) or taking her two dogs for a run in the park. 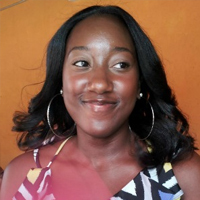 DubyaWife (Dub-Yah-Wife) is a blogger with a passion for all things Social Media. 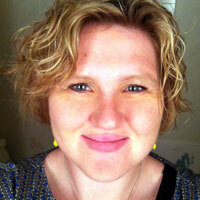 Blogging for over three years DW started DubyaWife.com (her weight loss story and health blog). You will often find her on Twitter, Facebook, or Instagram exchanging healthy living wisdom or posting a latest recipe after a great workout. In her spare time Christine enjoys running, all things nerdy/geeky (video games, Dungeons & Dragons), and LSU/Saints football. She is also an active participant in Toastmasters and a regular Fitbloggin Conference attendee. Christine’s wit and charm light up the “internet” with weight loss knowledge, healthy living advice, and snark..
Emily is the weight loss blogger behind Skinny Emmie: a journey to find a healthier life. Since starting Skinny Emmie, she has lost over 110 pounds through workouts, clean eating, and addressing emotional issues and triggers. Emily founded Authentically Social, a social media marketing consultancy, in 2012 after working in brand and product management for over eight years. She provides social media strategy and community management services for companies in the health, fitness, and fashion categories across the US. 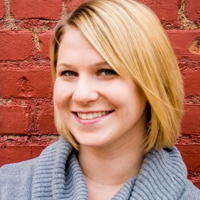 She is also a freelance writer for Spry Living with her regular blog, Spry Kitchen. Her story and writing has appeared in various publications including the New York Post, Shape, Business Lexington, Skirt! and the Lexington Herald-Leader. Emily holds an MBA from the University of Kentucky and resides in Lexington, KY with her murse (male nurse) husband David and their airedale terrier Lilly. She loves traveling and reading, and is easily distracted by sparkly things. 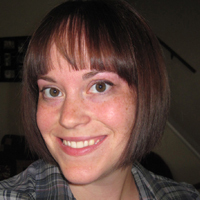 Erica House has her Masters in Psychology and has been teaching at the University level since 2007. She is certified as a Personal Trainer through the American College of Sports Medicine and a Certified Intuitive Eating Counselor. After maintaining her own 50 pound weight loss she is passionate about helping others on their journey to lifelong happiness and wellness. She is currently enjoying her role as an unofficial ambassador for single cat ladies everywhere. When not biking around the island, playing mermaids with her daughters, teaching Power Fitness PDX or training for triathlons,Erin Kreitz Shirey is the Master Trainer/Running Man Coach/CEO of Power Fitness PDX. An eternal optimist, Erin was awarded Alameda Magazine’s Most Motivational Personal Trainer, Top 10 International Personal Trainers by PFP, Red Tricycle Healthy Mom on a Mission and one of Mamavation’s Favorite Things. 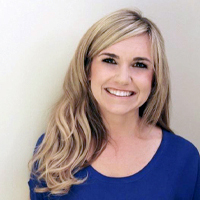 Erin’s passion for helping improve one’s self esteem through athletics began at age 14, when she learned how to convert an eating disorder into something positive. She has been motivating others in the health and fitness industry ever since. As a Fitness presenter, her style of training and presenting is to make clients laugh, while helping them challenge themselves to LIVE in the moment. Encouraging all to never look back, butEmbrace Life’s Challenges along the way. Erin’s inspiration stems from her two dynamic daughters, whom both faced life-threatening conditions requiring extended hospital stays. Through the experience, her family created the Believe in ME Foundation, providing quality childcare for siblings of hospitalized kids. Portland is Erin’s “Heart City“, and she’s excited to teach FitBloggin’13 boot camps in the parks where she launched PFPDX. She’s Manilla.com Health & Fitness Expert,Lucy.com Personal Trainer, Brooks Running blogger, and Better.tv Fitness Editor. Erin’s been published in Parents, Good Housekeeping, Competitor, and NW Kids among others and has a column in Alameda Magazine. BS in Kinesiology, multi-certified through ACE, Fit to Deliver, TRX, Stott Pilates Mat, Real Ryder Spin and SCW Sports Nutrition. Catch up with Erin’s blog DigDeepPlayHARD – fitness, motivation, workouts, recipes, Mom life and living LOUDLY! When you travel as much as Gina Zammit does, staying fit is an on going challenge. As a former writer and editor for AAA Traveler Magazine, Gina shares her travel experiences and tips, healthy recipes and fitness advice for people on the go. Gina’s work has been featured in All You Magazine, BuzzFeed, Warning Magazine, The Daily Record and The Star Ledger. She has appeared on MTV, NBC, the Food Network, WeTV and the Syfy Network show, School Spirits. In the summer of 2010, Gina was chosen to host the Sell Your Seoul campaign for the Seoul City government in South Korea, and this past summer she was a Dirndl Ambassador for the Austria Tourism Board and the official Water Courier for Gerolsteiner water and the U.S. Open. In her spare time, Gina loves to play tennis, paddleboard, dance, and post pictures of her cat, Zooey on Instagram. You can follow Gina’s adventures on her website, Where Brooklyn At?, and onTwitter. 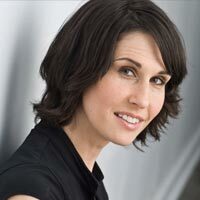 Jamie Walker is the CEO and co-founder of Fit Approach where she is applying her expertise in technology, fitness and marketing to help make the world more fit. 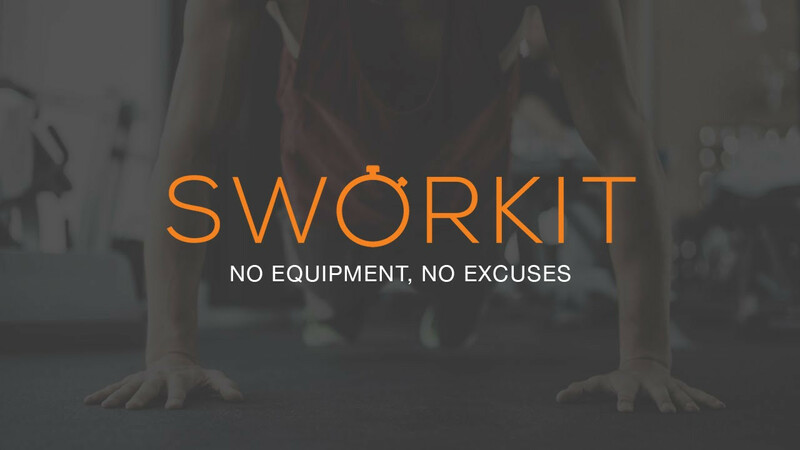 Jamie and her co-founder Alyse Mason-Brill bring more than 15 years of combined fitness, public relations and social media experience to Fit Approach and SweatGuru, their second joint business venture. Fit Approach is a popular blog and online community whose “Sweat Pink” motto has inspired more than 2,000 global members and 35,000 monthly visitors to educate and support each others healthy lifestyles. A Yoga Alliance certified instructor, bootcamp teacher and avid-ultra marathoner, Jamie’s passion for fitness and health extends to every aspect of her work and life. Jamie’s has been featured in Forbes Woman, Trail Runner Nation, Examiner.com, Shannon Miller Lifestyle, Splits59, WCTV, Ethical Ocean, PushingPB, BlogTalk Radio, and as a speaker at FitBloggin12, Capital360 Entrepreneurship and PRSA Conferences. Before she was bit by the start-up bug, Jamie spent six years geeking out in high tech public relations, advising enterprise software and consumer technology companies such as Salesforce.com, Workforce Software, Jigsaw, Blinx and others. Jamie holds a degree in Political Science from the University of California at Berkeley. Jenn is proud mom to two amazing kids, wife to a wonderful husband, household CEO, and all-around great gal living it up in the Boston area. After struggling with postpartum mood disorders, Jenn used proper diet and exercise to help turn her life around. She started blogging in 2008 to share her experiences. Wanting to take her fitness education to the next level, she became a certified personal trainer in 2009. Unfortunately, after an injury, some weight gain, and emotional struggle, Jenn took nearly a year away from all things social media. Jennifer began blogging in 2006. Her blog, originally Yet Another Weight Watchers Blog, was a way to chronicle her struggles to get back to her Weight Watchers Lifetime goal weight. She is still working on that goal, and her blog has been rebranded Perfect in Our Imperfections. Her focus has expanded from an obsessive chronicle of scale ups and downs to her search for a sustainable, satisfying lifestyle that might also help her get into her skinny jeans. Along the way, she gives her commentary on “The Biggest Loser” episodes, shares her makeup finds, trains for sprint triathlons and road races, and reviews books on healthy living. So far the blog is pseudonymous, though this conference will probably blow her cover, however thin and tenuous it is. She is an assistant professor at a small University in the Toledo, Ohio area, where she lives with her husband and her two cats. This is her first FitBloggin’ conference. Johnny Nasello is a personal trainer, group fitness instructor, yoga teacher, and fitness blogger. 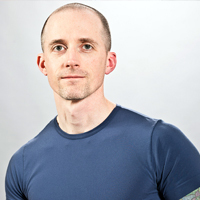 He has a passion for fusing strength and conditioning training with fluid movement and breath work. This combination of styles has led him and his students to achieve their fitness goals in a balanced and holistic way. Johnny’s group exercise instruction is influenced by his certification on the TRX Suspension Trainer. The suspension trainer is a flexible tool that allows him to craft specifically-targeted, creative workouts that are fully customizable to a range of fitness levels. He has extensive experience training clients using kettlebells, which allow an efficient combination of cardiovascular and strength training in the same movements. 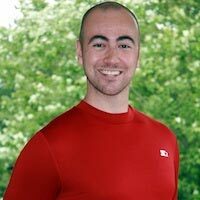 Johnny’s philosophy behind his group exercise sessions are that they should be exciting, positive, and dynamic, and most importantly, they should move clients toward their objectives. On the mat, Johnny’s athletic vinyasa yoga style connects breath and awareness to his student’s inner and outer strengths. He strives to guide his students to the acceptance of being present and the joy of experiencing vitality and health. His motivation revolves around sharing all aspects of health and fitness with others, and helping people be fit and live healthier lives. When not training, you can find Johnny training, writing about health and fitness on his blog, training, or hiking the various state and national parks of the Pacific Northwest. Find out more and Johnny on his website: www.johnnyfit.com and facebook page: www.facebook.com/JohnnyFit. 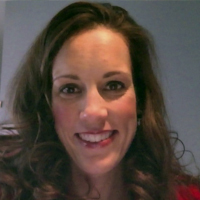 Julie Curtis is a licensed professional counselor, avid runner, and kitchen enthusiast. 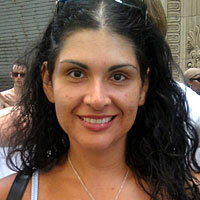 She currently works for her local county as a drug and alcohol counselor and runs the blog ROJRunning.com. Of course this is when she’s not spending time in the gym, running trails, or bonding with her dog Emme Award Winning Oom. Julie began her health and fitness journey in 2007 after taking part in a local Relay for Life event and losing nearly 50 pounds. Since then she has completed countless 5Ks, 3 ultra distance marathons, a handful of triathlons and numerous other events. Over the last 6 years, she has also completed graduate school, faced major medical issues, rode an emotional roller coaster, and yo-yoed with 30 of those unwanted pounds. Now, it is her goal to redefine her concept of health and wellness while helping others to discover theirs. Julie plans to become a certified personal trainer and hopes to open a private practice focusing on both the physical and mental/emotional aspects of health. This will be her second FitBloggin’ conference and first time serving as a speaker, co leading the discussion “Tackling the Taboo of Therapy – The importance of mental and emotional health”. Follow Julie aka “ROJ” on Facebook, Twitter, Instagram or Pinterest. Well, you get the idea – I am many things to many people trying to find time to be just jules. Karen C.L. Anderson (aka The Acceptance Whisperer) has practiced EFT since 2005 and now works with anyone who is ready to make peace with themselves, with others, with food, with money…with whatever they think is causing drama in their lives. 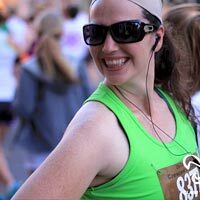 Karen has been blogging since the beginning of 2009 and has attended Fitbloggin since its inception in 2010. 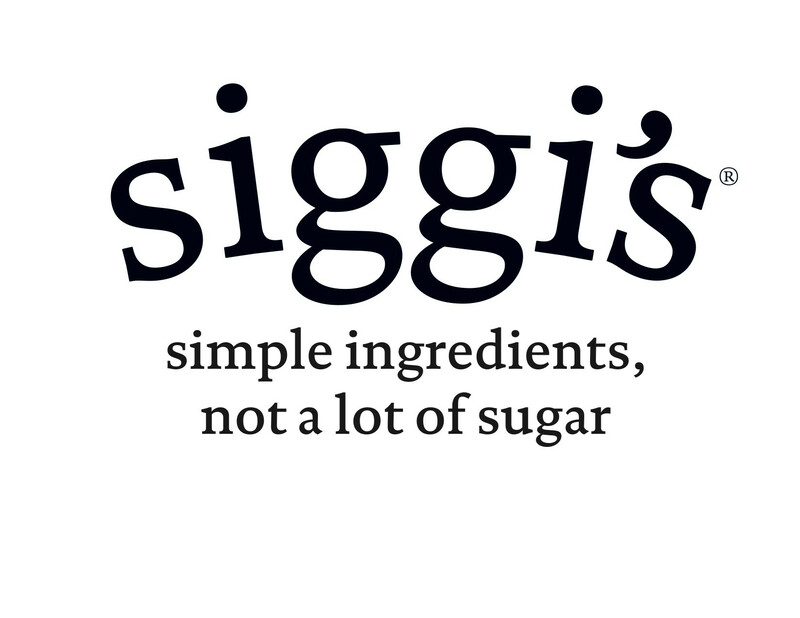 She spoke at Fitbloggin in 2011 and 2012 and is thrilled to be doing so again. She is also the author of AFTER (the before & after): a real life story of weight loss, weight gain, and weightlessness through total acceptance. 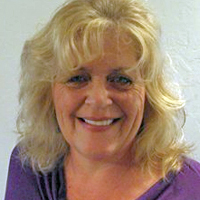 Karen is a certified Life Coach through The Life Coach School and is in the process of becoming certified in Emotional Freedom Techniques. She is also part of a small group of EFT practitioners who created and volunteer for the Tapping Solution for Newtown: Stress & Trauma Relief Project. Katie Oden is the troublemaker behind CallMeTrouble.com. Her lifestyle blog tackles everything from working out and eating habits to romance and random thoughts. She is currently employed in the healthcare industry. She’s the coordinator of her company’s emerging leaders group and also co-chairs their corporate Make-A-Wish campaign. Her undergraduate degree is in International Business & Organizational Development. She also has a Women’s Leadership Certificate and is currently back in school for her M.B.A. Her blogging endeavors trace back over a decade and have evolved considerably. 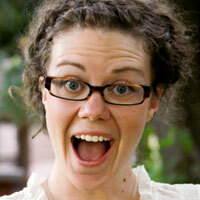 She’s no health-nut but is excited for FitBloggin’ to help light that spark. As an athlete through high school and college, she had struggled keeping up a healthy lifestyle without a team behind her. The blogging community has become her new team and she is so grateful to be apart of Fitbloggin’ 13. Follow her on Twitter @KTOinCLE. Kelly joined Weight Watchers in 2007, and to date has lost 115 pounds (and still counting.) She blogs daily at www.curvyfitgirl.com about the ups and downs (physical and mental) of losing such a large amount of weight. During her weight loss, she developed a new found passion for strength training, and Bikram Yoga, an impossibility to her at her highest weight. She posts a sweaty post-workout photo after every one of her workouts. Kelly believes in pushing beyond self-perceived limits and stereotypes, encouraging women to strength train from the very beginning. 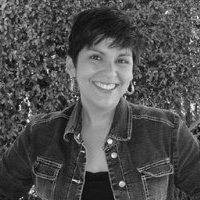 She writes with humor where she pokes fun at herself and with just a hint of snark. Kelly will be leading “Losing the Emotional Weight: Dealing with Your “Before” When You Reach Your After” along with Dani-Holmes Kirk from WeightOffMyShoulders.com. In April 2011, Kimberly Anne got passionate about her journey to get fit and hasn’t looked back since. For the past 3 years, she has blogged over at Work It Out, Gurl (www.workitoutgurl.com) to document the good, the bad, and the ugly. As of June 1st, she will be launching a new site, Manifest Yourself (www.manifestyourself.com), to not only talk about getting fit, but to help others help themselves in all aspects of their lives. By day, she works in a Career Services office at a university helping students and alumni navigate their career paths, but by night she is devoted to manifesting herself. 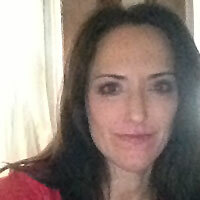 Kimberly Anne is the Founder & Editor of Manifest Yourself, a lifestyle blog that will be launched on June 1st, 2013. You will catch her blogging about fitness, cooking, beauty, career related topics and anything else that crosses her mind. Her writing and speaking skills also led her to teach Better Business Writing seminars for business organizations and to appear as a grammar expert on tv. Good things come in threes: Kymberly was a three-time finalist for the IDEA International Association for Health and Fitness “Director of the Year” award and three-time Regional gold medalist and national competitor for the National Aerobic Championship. From teaching in the first aerobics studio on the European continent to leading group exercise classes present day in Santa Barbara, CA, she continues to lead, teach, and encourage people to reap the benefits of movement. “Women who behave seldom make history” is the personal motto of Leah Segedie. She’s been working with bloggers since 2007 after she lost over 100 lbs. and started up her own social networking site to connect moms who wanted to live healthier. Over the years, she’s grown into a marketer, crowdsourcer, community manager, and outspoken food activist. As a fitness matriarch, she organizes and leads the Mamavation campaign, which is an obesity prevention campaign for families championed by moms. Mamavation is now one of the best branded fitness campaigns in social media having over 250,000 related tweets since 2009. Community members affiliated with the campaign have lost over 3,000 lbs. Leah got her start with about $50 and a dream of helping other women and today her consulting company, Bookieboo, has put over $200,000 back into the economy paying bloggers, giving to charities, hosting events for her community, and all things involved in continuously growing. Prior to working online, she cut her teeth working in politics organizing campaigns, giving speeches at rubber chicken dinners, raising money for candidates & propositions, and assisting in media training. She’s also worked in the corporate world as a Manager of Public Relations for an insurance company. Social media has been like second nature to her because of her eclectic experiences in industries that require very special talents to excel. Leah is a Valedictorian and has a Masters in Communication Management from the University of Southern California. She was given the Presidential Scholarship to attend USC and graduated among the top of her class and gave the commencement speech for her Bachelors ceremony in 2001. She works from home in her fuzzy slippers and workout clothes in Simi Valley, CA while doting on her husband and three sons. Lena is a working mom of two active children and a wife of 12 years. Originally from Russia, they have settled into the Chicago area. 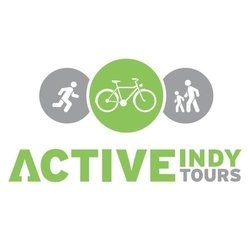 Lenasupports non-profit organizations for kids and families healthy active lifestyle, because she truly believes in local support of good causes bybusinesses and community members. Bike riding as a family is a great part of Lena’s family life, but she also cherishes rare occasions she can just hit the trail on her own. Her blog Way 2 Good Life shares simple activities families can do together. She shares her love for biking through articles teaching moms (and not only) the basics of bicycle riding. You can also find her at Fitspiration for Moms, collaborative website with a big purpose to keep moms inspired and fit. Lisa Johnson has been a personal trainer since 1997, a Pilates Instructor since 1998, and has owned Modern Pilates since 1999. Her popular fitness blog LisaJohnsonFitness.com was inspired in 2008 because of all the times her clients would come in raving about some new lose weight quick scheme. She wanted to have a “real voice” in the mix who could cut through the marketing to what really worked. Lisa has developed her expertise in video over the last few years starting with a weekly live TV show for MingleMedia and with her own YouTube Channel, LisaJohnsonFitness. Lisa uses video as a tool for viewers to help find her on the internet and to share her fitness information in a different format. She has several videos that rank high on YouTube and Google for her keyword terms. Lyn is a mostly stay at home mom raising two children ages 3 and 5. A long time native of northeastern Ohio, Lyn and her family recently moved to Washington. Lyn works a part time customer service job from home in between keeping her kids busy and getting settled in a new area and house. Lyn writes about her life adventures at lifelynstyle.com. As time permits, she writes about adventures with her family. 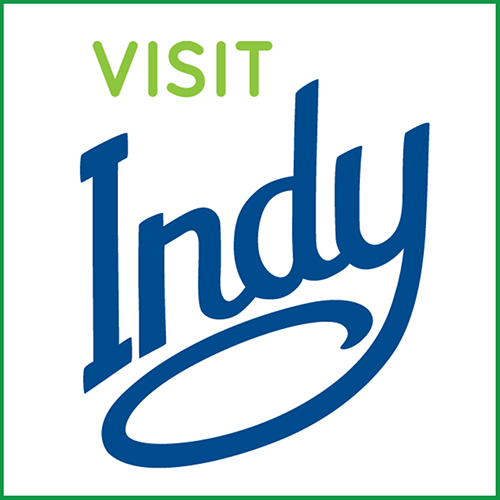 Favorite topics include CSAs, farmers’ markets, U-Pick crops and other locavore events. She also writes about food and exercise. She loves that her kids became locavores at an early age, eating balanced meals and understanding where their food comes from. With the recent move to Seattle, new adventures wait as she and her family discover all of the local foods and activities of Washington state and the Puget Sound region. Liz Paul is a weight loss blogger at PriorFatGirl.com. As a full time Children’s Ministry Director in an ELCA church, a full time mom to “Little Goat” and a full time wife, she am learning to commit to herself and her health. She has lost over 50 pounds through exercise, Weight Watchers and working to make each day better than the next. Before last year she had never run a complete mile in her life, always being the large kid walking in the back. Now she can run a 5k with aspirations for more. Margo Donohue is the creator of the healthy lifestyle Blog Brooklyn Fit Chick and is also a certified group fitness instructor as well as a personal trainer. Featured in Fitness magazine and nominated as a Best Blogger by Shape magazine—Donohue is a “Sweat Betties” & Fit Mapped ambassador and has been blogging about health & fitness topics (and how the media covers them) since 2010. Donohue also writes for the popular site Fit Bottomed Girl as a New York correspondent and has contributed to Diets in Review and Brooklyn Based. Her personal journey to wellness began on June 27, 2002—the day she quit smoking for good. A Paleo enthusiast, Donohue can often be found on her bike looking for new destinations to discover in and around New York City when not shopping at Trader Joe’s. A voracious reader, she subscribes to over 25 magazines per month and prides herself on both her high and low brow taste. Donohue also runs her own public relations & marketing company. Follow her on Twitter @BrooklynFitChik. Margo is proud to FINALLY be a Weight Watchers Lifetime Member (who has lost-then gained-then lost-then gained-then lost 73 lb). Often called “the lovechild of Nate Berkus and Charo”, Margo has lived a life full of design, salsa and bellylaughs, with just enough drama to make her want to stick around until the end. In addition to Nacho Mama’s Blog and her weightloss-related podcast, Nacho Mama’s Podcast (iTunes & Stitcher), she is also a cast member of the award-winning web series “Mommalogues” on Sheknows.com and a regular contributor to Mamiverse.com. She has been blogging since 2005. 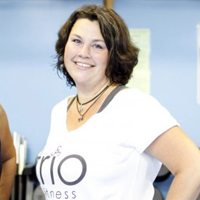 Having struggled with obesity since birth, in 2013 Margo realized two of her lifelong dreams: to acheive a healthy BMI and to appear in an exercise video with Richard Simmons. She is very excited to finally have the time to devote to her third lifelong dream: to prove that Doritos are laced with crack. Martinus was sitting in the doctor’s office when he was called fat and told he needed to start walking. Martinus response was, “Screw you I’ll start running and blog about it,” and the rest was history. In July 2012, Martinus created his blog “300 Pounds and Running.com,” to document his journey of losing weight and running a marathon. Since the inception of 300Pounds and Running.com, Martinus has lost over 45 pounds and ran over six races including a half marathon. Martinus inspires his readers to #CrushGoals with his no nonsense approach. 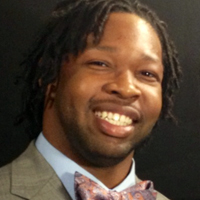 Martinus is currently pursuing his Master’s Degree in Health Promotion Science at the University of Connecticut and works as a Clinical Research Assistant at the UMASS Medical School under the creator of #plankaday Dr. Sherry Pagoto. I am a single mom who got tired of being tired. My main motivation to be fit is so that I can be here for my son and be an active part of his future. I don’t want to sit on the sidelines of my life. I want to play quarterback, running back and linebacker. I want to be a part of all of the “big plays” in my life. I know that no one around me thought that this weight came on quickly, but as I started looking at pictures, I was shocked… How did I let this weight creep on me! There are ups and downs, and I make mistakes along the way. I began blogging to push and motivate myself. Nicole Bullock is a jet-setter, pop-culture junkie, social media enthusiast and seasoned blogger. She is the social media manager for DegreeSearch.org, where she interacts with DegreeSearch’s followers and members of the higher education community. 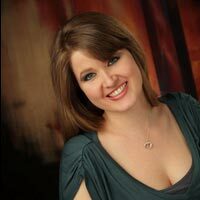 She has an extensive background in search engine optimization, professional blogging, and serves on the leadership board for the Social Media Club of Salt Lake City. In February 2012, she underwent Roux-en-Y gastric bypass, and has been candidly sharing her weight loss journey with her friends and followers. In her free time, she loves to travel, attend conferences and social media events, and writes on her personal blogs www.cuteculturechick.com andwww.beautyandthebypass.com. You can find Nicole on Twitter at @cuteculturechic. 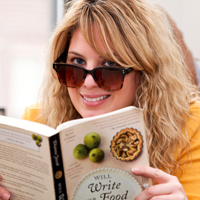 Minneapolis-based writer Nicole Navratil started her vegetarian blog, Pepperoni Is Not a Vegetable, just over three years ago. She is passionate about education, inspiring people to be mindful about their meat consumption, and connecting veggie lovers to one another, through social media and events around the Twin Cities. Nicole is currently working on her first cookbook, and is looking forward to planting her first “real” garden this spring. 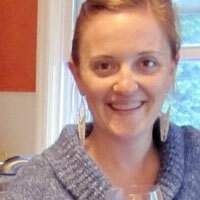 Nicole will be co-facilitating a discussion on clean eating with three others at this year’s Fit Bloggin’ conference. She began eating clean about two years ago, after discovering a link between food preservatives and migraine headaches. A wanna-be yogi, she’s very excited about meeting other like-hearted people at Fit Bloggin’, and can’t wait to get back to Portland . 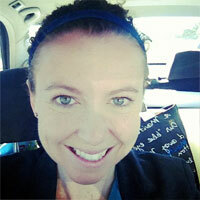 Nicole joined the healthy living blogger community in January 2012 and blogs at Apples and Arteries. 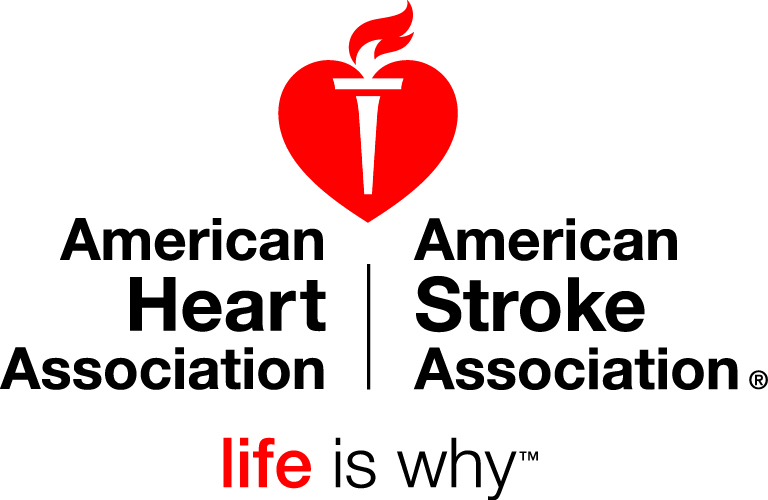 Due to family history of heart disease, Nicole has become a student of practical strategies for reducing the risk of coronary heart disease through a combination of education, diet, and exercise. A 5x Chicago Marathon Finisher, 2x Chicago Triathlon swimmer, Nicole enjoys a variety of fitness activities and strives for finding balance through running, yoga, spinning, swimming, and dog walking. Nicole has a business degree from Marquette University and Masters Degree in Public Policy from Loyola University Chicago. 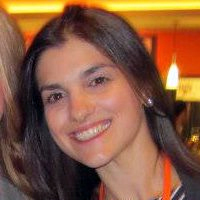 Nicole works in leadership capacity within an academic center at the University of Wisconsin – Madison. Shannyn Allan began blogging at FrugalBeautiful.com in 2011 which lead her to quit a dead-end job, blog full time and begin social media freelancing. After building a reputation for snagging free stuff as a blogging influencer, she has since expanded her network to include a giveaway blog at BeautifulGiveaways.com and was asked to present at FinCon on how to leverage your blog to score freebies, trips and V.I.P. sponsorships with her blog. 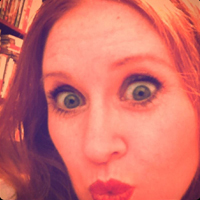 In 2012, she published her first ebook, Rockstar Blogging: How To Score $1k In Free Stuff & Be A V.I.P. 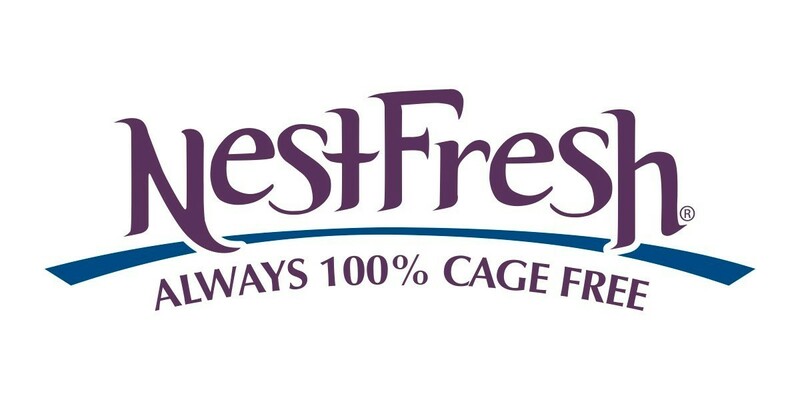 With Your Blog. 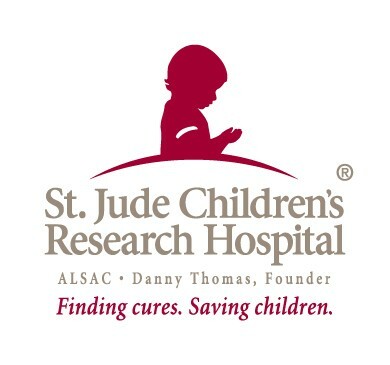 One of the most rewarding thing about being a blogger (other than the fun perks) is helping others, and she used techniques discussed in the book to raise over $2,601 for charity: water and $500 for the American Foundation for Suicide Prevention to run her first half marathon using her blog & social media. Shannyn now lives in Chicago, Illinois her with fabulous pugs and will be working on her goal to run 13 half marathons this year (she’d love your suggestions!) including two runDisney events & the Nike Women’s Inaugural Half Marathon in Washington, D.C. You can find Shannyn on @frugalbeautiful on Twitter on Instagram, @frugalbeautiful -but you might see her at your next half marathon or mud run! Sue O’Lear is the wife, mom, and hotass that writes MrsFatass.com. Born and raised in Flint, Michigan, she graduated from the University of Michigan in 1996 and is now one of those obnoxious, crazy obsessed fans of her Alma Mater. In April of 2009, after two particularly grueling years, Sue blogging her story, which she calls “One girls journey from Fatass to Fabulous.” Believing that there is no topic to personal, too ridiculous, or too deeply embarrassing to be discussed (bless her heart), her blend of wit and honesty has been recognized by Australian Women’s Health Magazine as a top blog to follow for weight loss humor and motivation. Her work as a writer and fitness instructor has also been featured on YourTango.com, Shape.com, and in print in the Wall Street Journal and The Wilson Daily Times. She has also been a guest on the podcast Two Fit Chicks and a Microphone and the radio show The Boomer Beat on WCOM radio in North Carolina. When she is not defending her choice to call herself MrsFatass or writing about bodily functions, she is also teaches Zumba® Fitness (and manythe specialties), Hoopnotica® Hoop Fitness and TurboKick® for Trio Fitness, a partnership and newly opening studio she owns and operates with fellow Fitbloggin’ attendee Samantha Collins (of Simplifying Sam). Sue and her family currently reside in Wilson, North Carolina. As a Certified ScrumMaster, Tim specializes in helping people build their businesses by finding better, faster ways to fail. After nearly a decade of helping companies the likes of Nintendo and Microsoft Games Studios succeed with agile, Tim opened his private agile coaching practice to the wider blogosphere with the launch of Agile Blogging. Be sure to watch his MVP presentation from last year’s Ignite Fitness keynote. When he’s not working on improving his agility in the office, Tim works to improve his agility in the field as an RRCA certified running coach. You can find his running ramblings on MidpackRunner.com. Hello my name is Valerie Kirkland I have a Master’s degree in Public Health and am a Certified Group Exercise Instructor. I enjoy creating clean recipes, sharing fitness tips and inspiration on my bloglivefitjourney.com. 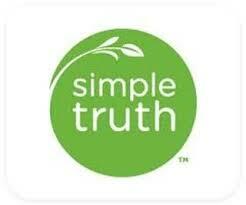 I first started blogging to help others learn how to eat clean. My journey began in 2011 when I started eating clean and lifting weights, I successfully lost 20lbs and competed in my first fitness competition. My transformation story has been featured in Oxygen Magazine and Bodybuilding.com. I enjoy helping others and recently founded Generation Healthy Kids, a non profit focused on combating childhood obesity. As a mother of a 2 year old I want to help educate children and families about the importance of healthy eating and exercise. Click here to FitBloggin’12 Speakers.